Cosco Hotel, Hong Kong is owned and operated by the Catholic Diocese of Hong Kong, and determined to offer high standard hospitality services at competitive rates. 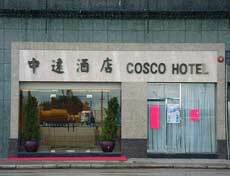 The Cosco Hotel is a subsidiary of Cosco (HK) Group that opened in October 1997. Since then, it has provided a 3-star international accommodation, services and amenities. With a captivating sea view and picturesque mountains behind, the hotel is ideal for both businessmen and tourists. Cosco Hotel is located at the beautiful coast of Hong Kong Island where the spectacular views of the sea and mountains will keep you relaxed. The transportation is very convenient since tram, bus and taxi stations are only meters beside the hotel. The Hong Kong International Airport, passing through the Western Tunnel, only takes 35 minutes from the hotel. Hong Kong- Macau Ferry Terminal is just a few minutes away. The hotel has a total of 55 rooms to provide to the guests. All rooms are well equipped with modern facilities. They have attractive ornaments that will surely impress the guests. Room facilities include air-condition, cable TV, IDD phone, mini-bar, hot/cold water, hairdryer, ensuite bath/ shower, refrigerator, kitchen area, tea and coffee making facilities, etc. Rooms are categorized as Deluxe Suites, Apartments, Twin and Single rooms.